VeriSafe will be the catalyst for projects, exchanges and communities to collaborate, creating an ecosystem where transparency, accountability, communication, and expertise go hand-in-hand to set a standard in the industry. VeriSafe aims to offer an easier, safer, and more efficient way for customers and businesses to participate in an Initial Coin offering (ICO), a Parallel Coin Offering (PCO), or for new or existing projects to leverage the transparency and resources the VeriSafe platform will offer. VeriSafe will be the standard for scam prevention and investor protection in the blockchain industry. 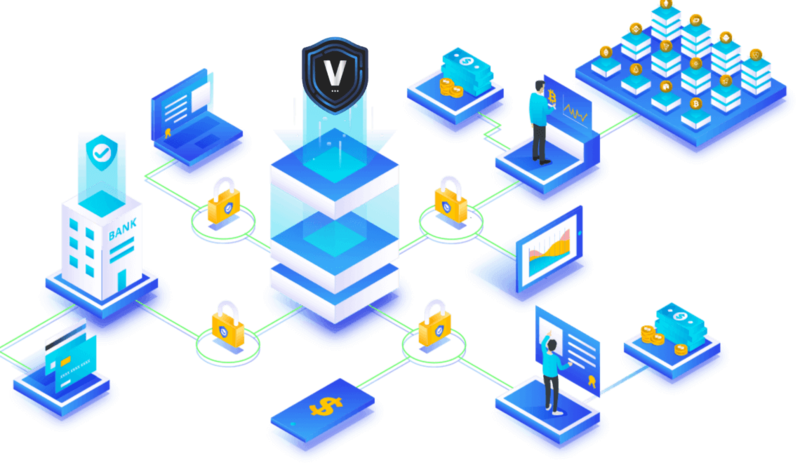 The VeriSafe platform will host only the highest quality ICOs, PCOs, and established projects, requiring the projects adhere to VeriSafe's strict transparency model. Every project must go through a rigorous vetting process designed to help protect investors and provide projects with the tools needed to succeed. The VeriSafe platform will provide templated tokens for projects from various blockchain networks like TRON, NEM, Ether Classic, Stellar, Cardano, NEO, Waves, and EOS, with more options being added in the future. VeriSafe-designed Smart Contracts will ensure that funds are being used appropriately and aid in the prevention of scams. VeriSafe will add a new level of comfort to cryptocurrency and eliminate the untrustworthy businesses that continue to flood the industry. In addition, the VeriSafe platform will enable access to our rated, and VeriSafe-approved crowdsourced Human Resources, allowing companies ease of access to build a well-rounded team. Stay in close contact with the developers and team of each new project hosted on the VeriSafe platform. You will have the ability to keep track of and rate the progression of a project as it takes shape. VeriSafe will also verify the identity of any team attempting to host a new project on our platform. Start your own, or fund a thoroughly transparent, crowdsourced project on the VeriSafe platform, backed by a selection of multiple well established Blockchains. Members of the VeriSafe platform will also be allowed to help any projects hosted, as the project will have the ability to outsource to our members any tasks that they need help with completing. The VeriSafe platform users decentralized services which offer users unique crowd sourcing opportunities such as jobs and tasks to be completed to reach milestones, smart contracts, crowd sales, community support, and much more. 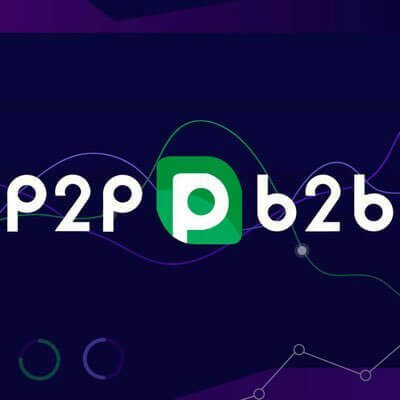 Our platform will act as support, allowing people to participate in a user friendly environment, not only investing in new projects, but also being able to earn cryptocurrency with their talents within the platform. Aside from crowdfunding jobs, VeriSafe's primary focus is to make ICO and PCO investments safer for investors. With high fraudulent activities in ICO platforms, VeriSafe provides solutions that offer safe investments and more probable returns on investments, than would the traditional method to ICO investing. Using traditional networking and acquisition techniques, companies find it very difficult to find trusted, knowledgeable team members. Many companies run into barriers when securing talented teammates and have trouble providing incentives as a start-up to ensure long term contributions. VeriSafe is committed to creating an ecosystem that allows anyone with the talent and passion for launching a crypto company, the opportunity to do so. The VeriSafe platform will offer assistance to teams through multiple avenues, including a Human Resources section. The Human Resources section will provide teams access to a list of candidates that have been reviewed by VeriSafe. This resource helps ensure projects have the ability to hire individuals with the skills necessary for a successful project. This benefits both the project and individuals in the space that wish to become involved in projects and receive compensation for their work. Initial (Beta) Platform Release - release Public Section and Initial User section, Partners integration, KYC integration, Release Screens of the App. Introduction of monthly video updates. (Beta) Platform update - Initial Project Creator Section release, token creation templates for Ethereum. Video update with demo from developer. (Beta) Platform update - Release of wallets smart contracts and roles smart contracts in mainnet. Video update with demo from developer. Platform Release - Video update with demo from developer. Dex Beta - With Video update demo from developer. This is a flexible and living roadmap. We adapt and welcome change in order to make the best use of our time and resources. VSF is an ERC20 utility token, which acts as the main currency on the VeriSafe platform. Here at VeriSafe, one of our main focuses has been securing meaningful partnerships with various entities within the industry. Aligning our vision with like minded partners is vital to the effectiveness of our project. Often in crypto, a partnership is established for name recognition alone. Our approach to seeking partners does not follow this metric. We strive to make connections that will be beneficial to the functionality of each party, as well as all parties interacting with each partner in any capacity. 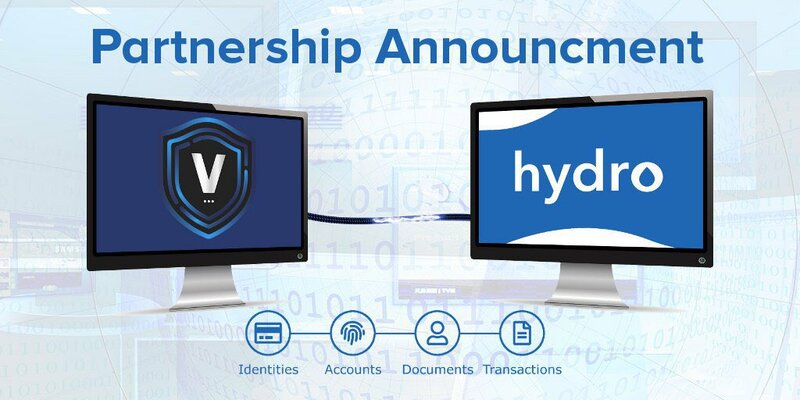 We are excited about our latest partnership with @HydroBlockchain. Implementing Hydro’s security measures in our platform will ensure a safer experience for all users, thanks for joining us in the fight for a better crypto! Thanks to a new partnership with @ethershiftco, VeriSafe approved projects can now host Exchange Coin Offerings, and VSF will be a payment option with bonuses! Our new partnership with @SwftCoin affords $VSF and our recommended projects priority listings post swap. VSF holders will also be able to use $SWFT Red Packet to send VSF across multiple social networking platforms, including PlayStation! "The world's fastest growing technological exchange that provides unique conditions for investors and traders." "Healthy Volume, Real trading". Stex has recently released a more user-friendly exchange platform. Stex is a popular exchange among its users with many tokens or coins available. VeriSafe is currently trading on Stex. 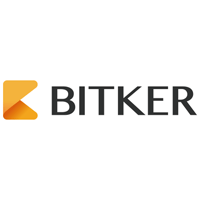 Founded in December 2017 in Singapore, BITKER aims at providing "One-Stop Digital Asset Exchange Service", in the pursuit of financial product innovation. This allows its traders to use one account to manage all kinds of crypto-currency trades such as: spot trades, contract trades, margin trades, etc. VeriSafe is proud to have Bitker as a partner and as a benefit of that partnership, projects connected with VeriSafe will be offered priority listing at a discounted rate. With a daily volume of more than $300M, IDAX is one of the largest exchanges in the world. IDAX and VeriSafe have entered into a partnership to supervise future projects on the VeriSafe platform and, if there is interest, to be added to the exchange at a reduced rate. In addition to this partnership, VeriSafe token can also be traded on the IDAX exchange. 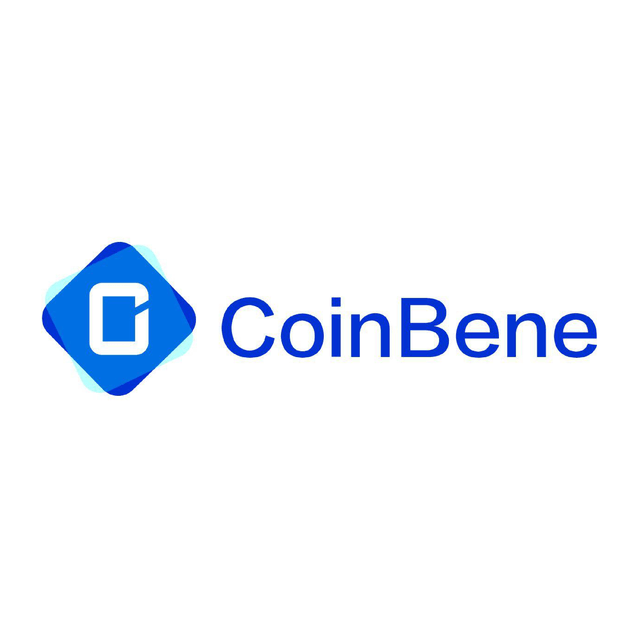 VeriSafe is partnered and trading with Coinbene. Bleutrade was VeriSafe’s first exchange partner and launched the first available version of our ERC-20 token. VeriSafe is now a strategic partner for Bleutrade to refer and fast track any VeriSafe Approved projects, as with all our partnered exchanges. Currently VeriSafe is listed on a range of cryptocurrency exchanges and partnered with at least seven cryptocurrency exchanges. 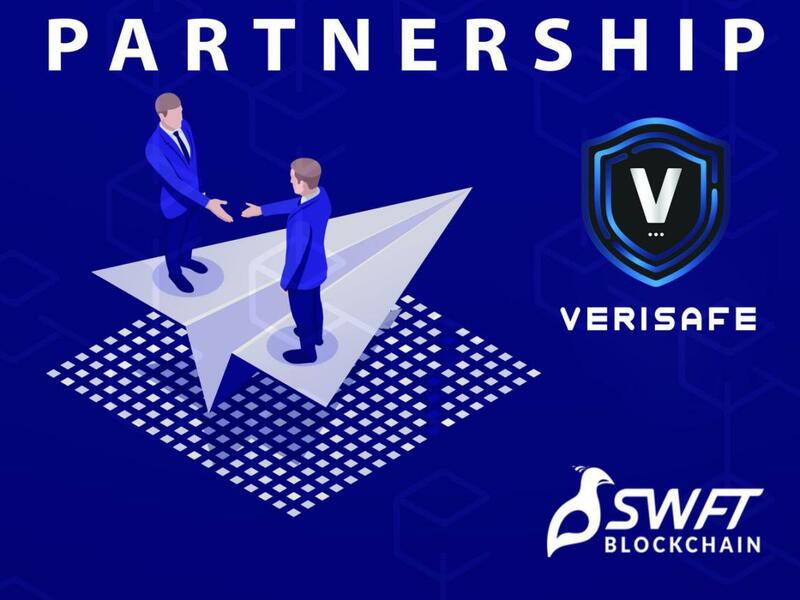 VeriSafe is actively pursuing more exchange partnerships, as the benefits of such collaborations extend into our relationships with verified projects, and the investors using VeriSafe’s platform to enter these projects. Through our connection with an exchange, a crypto project will be privy to a priority listing at a discounted rate. We will offer a number of options, allowing projects to list in on an exchange that best suits that project at the time of listing. Through VeriSafe, no project can be turned down by any of our exchange partners as long as the listing fee can be covered. This will offer projects immediate entry into a suitable market, and investors in this project the ability to trade on an established, trusted partner of VeriSafe. Exchanges partnered with VeriSafe also gain the benefit of listing only quality projects through VeriSafe, ensuring a safer trading experience for its user base. New partnerships of this nature will be announced as they are secured. Stex has recently released a more user-friendly exchange platform. Stex is a popular exchange among its users with many tokens or coins available. VeriSafe is currently trading on Stex. Bleutrade was VeriSafe's first exchange partner and launched the first available version of our ERC-20 token. 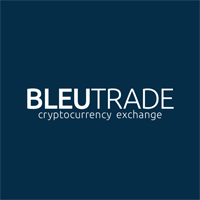 VeriSafe is now a strategic partner for Bleutrade to refer and fast track any VeriSafe Approved projects, as with all our partnered exchanges. With a frequent top-10 position on Coinmarketcap, VeriSafe owns two major listings on the Exchange Market. Projects that are already “VeriSafe Approved” will be given an emblem to display on their website and whitepaper to show they are "VeriSafe Approved". Individuals who are interested in the project can see that it has been thoroughly vetted and approved by VeriSafe. In order to prevent an unapproved project from misusing the “VeriSafe Approved” sticker, each sticker will have its own serial number specific to the project. Individuals may go to VeriSafe.io and use the “Approved Projects” tab to search for approved projects by name or serial number. As a business professional with over a decade of experience in a multitude of industries, I aim to streamline, guide, and efficiently manage our team to build the safest platform on the market. Cpollo will ensure all companies are thoroughly vetted and audited via strict protocols to advance crypto companies to a safer and more trustworthy environment. An inspired visionary blockchain entrepreneur with vast experience in guiding and developing innovative blockchain projects. João likes to learn new things. He has strong communication skills and works well in a team atmosphere. His goal is to create new service which will improve society. João is passionate about computer science, electrical engineering, internet of things, and Blockchain Dapp. A passionate people person with an eclectic background in inventory management, people management, delivery coordination, warehouse operations, retail operations, CNC machining, and quality control. I bring my passions to the VeriSafe community to ensure a healthy community where all voices are heard and all are welcomed in our journey to end scams in the crypto environment. Scientific research has been a large part of my life. I have spent the past three years developing drugs to combat antibiotic resistance. My research techniques and analysis have given me a passion for cryptocurrency, especially finding ways to integrate blockchain technology into science fields. I have worked for a strong blockchain company since early 2018 and now for VeriSafe. I look forward to helping projects start their journey through the VeriSafe platform. A full-stack web developer, Solidity developer for ERC20, Certified Agile Scrum Master. 20 years experience in the IT and finance sector.